My name is Audrey Halvorsen and my 2010-2011portfolio is Club Service. As the name implies, Club Service is all about the Club and its members. The Rotarians who volunteer in my area do things such as today's meeting, where we introduce potential members to Rotary. Once someone becomes a member, we provide mentoring and education, both formally and informally. One of the best ways to learn about Rotary International, the Rotary Club of Dryden, and what it all means to you as a member, is to attend Rotary School. This is a fun and interesting half day session jointly chaired by Joanne Bunney and Joanne Misner. We also provide informal sessions in our Fireside Chats. Club Service also keeps you, the member, informed. We issue a weekly newsletter, the Keyway, we have this little Roster booklet so you can check out who everyone is, and we have our ever evolving website, to name a few. Club Service also takes care of the Club. Volunteers arrange the programs for our weekly meetings and do technical things like recording attendance and ensuring compliance to Rotary standards. But it's not all about work. 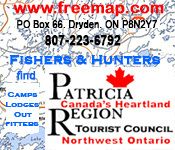 We also have a number of events throughout the year that provide a bit of fun and fellowship. Club Service Committee Chairs organize the Presidents Dinner, Christmas Party, Fish Fry, Golf outings, Bowling, Curling, and so on. In short, Club Service is all about you, the members. It focuses on strengthening fellowship and ensuring the smooth functioning of the club. 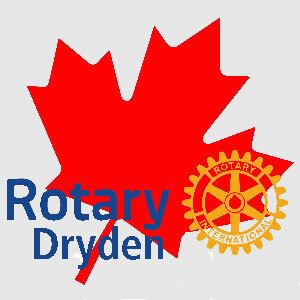 There are lots of Committee Chairs in my portfolio, and they all work together to make sure the Rotary Club of Dryden is a place where members are proud to belong. It is with good organization and fellowship that a strong, healthy club, can create programs and services to respond to problems locally and internationally.